I really like human media and Web Real-Time Communication (WebRTC). I like them so much that I presented their potential positive affects on SEO in the future. The gist of my presentation is human media and WebRTC will enhance SEO because they communicate between companies and customers in real time. Real-time communication can increase relevancy and value because of its speed between clients answering the questions and needs of their customers. Veterans United wanted their fall interns to present new ideas to them, which is why there are a few references to them and the VA loan process. Human media is a layer of social media that uses video, not text, to communicate. Web Real-Time Communication is an API allowing for voice calls, video chats and sharing files without plug-ins in browsers. I like Nathan’s Tweet because SEOs who expand on the basics of content and context have improved the SEO field. The innovators and sustainers of SEO have the quickest and most dynamic minds. They navigate by holding to the essentials while looking forward to new solutions because they want to help out their clients, customers and our industry. Please slide through my presentation below and leave your questions or comments in the comments sections. 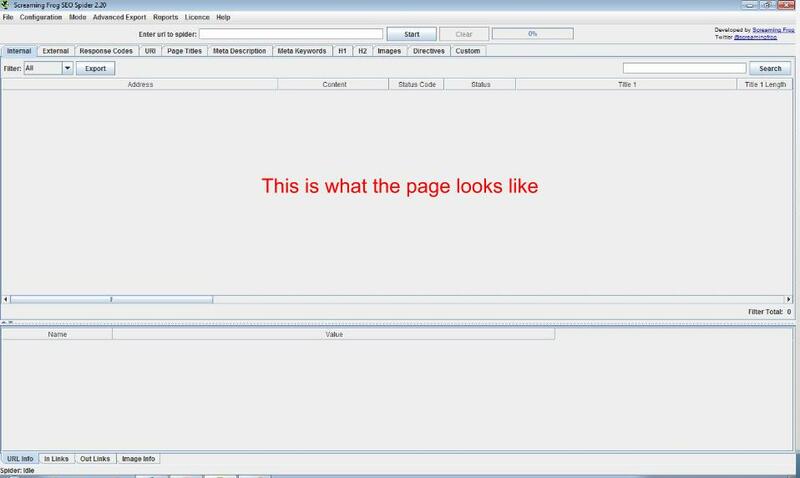 Save your PowerPoint presentations as a PowerPoint Show. The end of those files read .pps or .ppsx. Saving PowerPoints in PowerPoint Show will directly start your presentation. I could hardly tell you what proxy configurations were before this fall. The reason is I started using Screaming Frog’s SEO Spider Tool this fall. Their tool is great for finding the strengths and weaknesses in a site’s architecture and link profile because it’s so precise and thorough. Site architecture means the stability and ease of a site’s navigation and structure. Link profile means the amount and quality of the sites linking to me, who I’m linking to and how I’m linking within myself. I hope these definitions cleared up the SEO lingo. 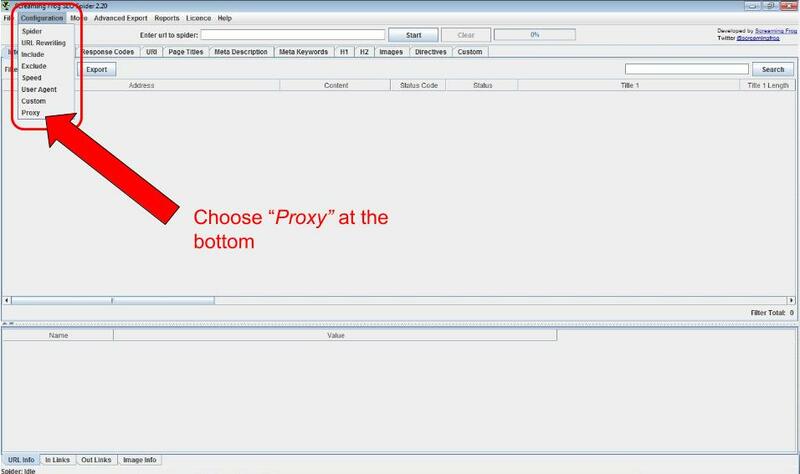 This feature allows you to use a proxy with the SEO spider by specifying the address and port. My first few times using Screaming Frog were a combination of beginner’s luck and fool’s paradise. My first crawls either brought more than enough data I was looking for or nearly no data at all. I was able to find some answers on proxy configurations after some research, a few broken computer monitors and teardrops. *Note* You can successfully crawl with the option of specifying your desired Web address and port. Just make sure you know about proxy configurations in advance. I didn’t, which is why I wrote this tutorial. 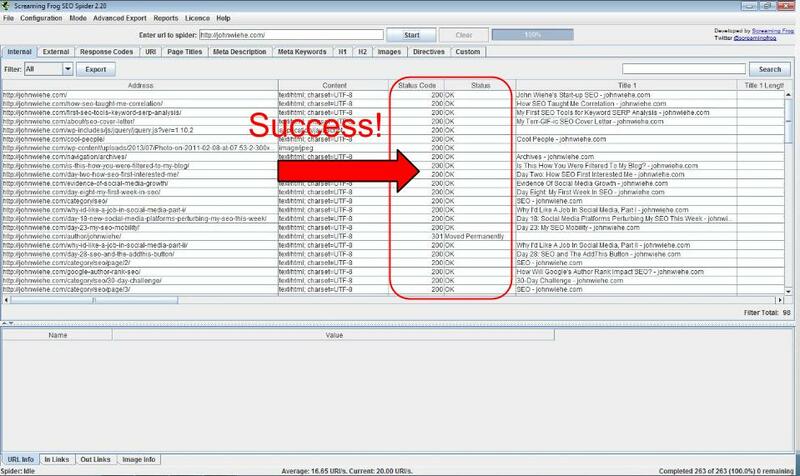 Beneath are the steps and screenshots of using correct proxy configurations for a successful crawl. 1. Here’s your starting screen on Screaming Frog. 2. 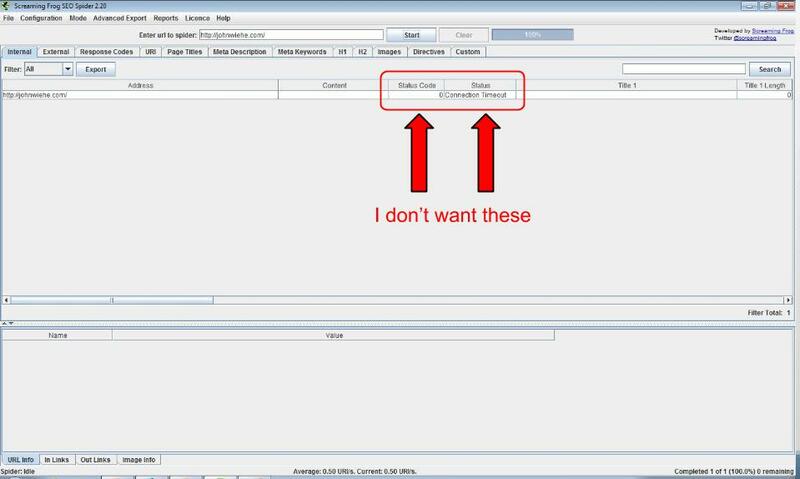 Select Proxy at the very bottom of the Configuration menu. 3. This box will pop up on-screen. 4. This is the futile outcome of crawling a site with a checked selection. 5. This box pops up on-screen when selecting Proxy at the bottom of the Configuration menu. 6. This is the fruitful outcome of crawling a site with an unchecked selection. Congratulations. You are now on your way to SEO wizardry. You can now get your crawl on with knowing the proper proxy configurations because it’s good to find out how to improve your site’s architecture and link profile. Please tell me your success or problems you’re still having crawling below. My first SEO tools to freshen up Veterans United’s Keyword SERP Analysis are Open Site Explorer from Moz and Site Explorer from Majestic SEO. They have tools within themselves adding to the whole of their functions. Their main functions are to access link profiles from pages and domains on the Internet. They’ve helped me a lot this past week and thought I’d give a my own analysis of the four functions of the tools. I’m updating our analysis to see how we compare with our competition but also with ourselves. Veteransunited.com is our main domain but also one of, if not, our youngest. We’ve changed and improved a lot since our last analysis. Open Site Explorer and Site Explorer are helping me review where we’ve come from and where we’d like to go. Moz and Majestic SEO give the best SEO tools for such analysis. Within those SEO tools are four components defined below. Page Authority calculates how well a Web page is likely to rank in Google’s search results. Domain Authority predicts how well a Web domain will perform in search engine rankings. Citation Flow analyzes the number of citations to a given page. A citation is a Web page linking to your Web page. Trust Flow examines and weighs the number of clicks from a seed set of trusted sites to a Web page or domain. 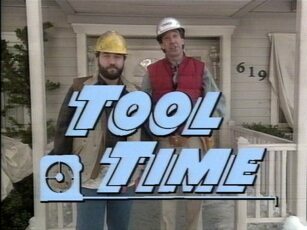 Hard hats and beards are optional. Page Authority only includes link signals and keyword-agnostic ones at that. It doesn’t use any anchor text signals. Search engines use a plethora of signals like text, links, social, etc. Keep calm and analyze on. Your page can have a higher Page Authority than your competition but they can still outrank you for example. SEO tools aren’t a substitute for actual algorithmic search engines. Page Authority has Domain-Authority-esque metrics because pages must live on a domain. Page Authority isn’t a perfect KPI. Algorithms change. The Internet changes. SEOs change. People change. All of this changing helps us compare old and new Keyword SERP analysis to improve ourselves. Higher-quality Citation Flow moves to the right on the graph. Higher-quality Trust Flow moves to the top of the graph. The better link profile you have, the more purple your graph will be. Internal and external links are factored in Citation and Trust Flow. Make sure your most important pages are ranking well for their targeted keywords and key phrases. Use both tools from Moz and Majestic SEO. Both are different but both are good and want to bring out the best on the Internet. Your own brain is the best of the SEO tools. What do you use? Please comment if I’m missing something you use. Good news friends: I earned a SEO internship at Veterans United. It’s brought a cornucopia of new knowledge, tools and responsibilities to me since day one (August 19). Almost every day is a restart in the buffet line of search engine optimization. My first project is updating our SERP Keyword Analysis Report. I search our target keywords and phrases and analyze the health of our rankings and links compared to our competition. The project allows me to use the two wondrous tools of Moz’s Open Site Explorer and Majestic SEO’s Site Explorer. The terms and data they give are fairly new to me – I’ve used them before but nothing on such deep a scale. My greenhorn status of all this new data and its lingo led me to find how to decipher it; what I found was better. I found a beginner’s guide to correlation on Majestic SEO. Below I’ll show you a few of their pointers and extras I have. I am by no means a statistics or data expert now but must say I’ve improved. 1. Correlation measures the relationship between two elements. Search engines factor multiple signals, like in the double or triple digits, from Web sites. This may seem like an oversimplification but I believe the most important factors are the relationships between the many elements on the Internet. Solid link building in search engine optimization tries its best to find the best relationships and partnerships with a niche target audience. 2. Big numbers don’t have to be scary. A negative correlation if it’s closer to -1. An independent correlation if it’s closer to 0. A positive correlation if it’s closer to +1. 3. Neighborhoods reside in the World Wide Web. I can focus better on building stronger relationships with target audiences. I’m talking to the target audience in a living room, not an amphitheater, because most of the results are from the same 30-40 companies, not millions like the results say. SEOs don’t have to build links to every Web page ever created because focusing more on the interests of target audience grows their interest and improves our connection with them. 4. Correlation doesn’t cause causation. Correlation seems to be about respecting each other. Causation seems to be about affecting each other. So, what’s the best lesson correlation and statistics taught me this past week? SEOs should have the willingness to seek relationships holding the highest quality, not quantity. SEO isn’t solely about counting the highest number of links we have. SEO is also about valuing the quality of relationships and partnerships we have with our target audience. It [big data] means that if we have all this data we can really understand customers and other people and we can push stuff at them more effectively. I think that’s the wrong paradigm. This is not an information age. It’s an age of network intelligence and one of collaboration. Local SEO can not target the entire world. Searches with local intent help add the need for local SEOs to smartly use big data. Big data helps us create, maintain and improve relevance to answer local searchers’ questions of local businesses. Big data’s vast information can give SEOs some pointers on how to create intelligent and relevant content. Search engines and searchers love information. Our responsibility is to make it easiest for them to best understand the information found in our content. Their best interpretation of our content best answers our searchers’ inquiries. We need to make the most of this to better target local customers, not the entire world. Big data is awesome at giving information about communication. I believe SEO is one of the most effective advertising forms because it measures and analyzes the intelligence and collaboration found in organic communication between customers and clients. Big data shows who shares our obsessions. People in local communities are searching for products and services sometimes before knowing a business exists. SEOs need to share their client’s obsession about their product or service to customers, both new and returning. Clients need to give their information in an intelligent form to show customers their shared passions, creating relevant communication. As Don Tapscott said, we live in the age of intelligence and collaboration. SEOs need to collaborate with clients to showcase their intelligent relevancy to their customers. SEO is more than just increasing visibility and rankings. It is now about increasing intelligence and collaboration between clients and customers through organic communication.